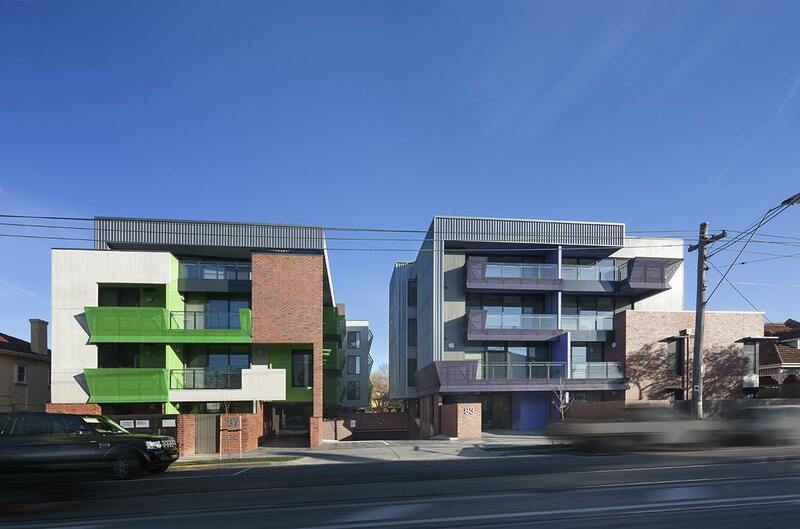 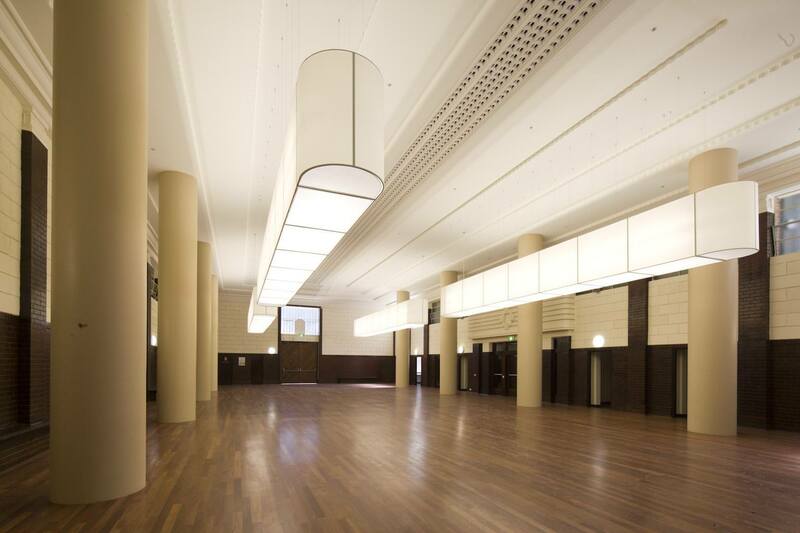 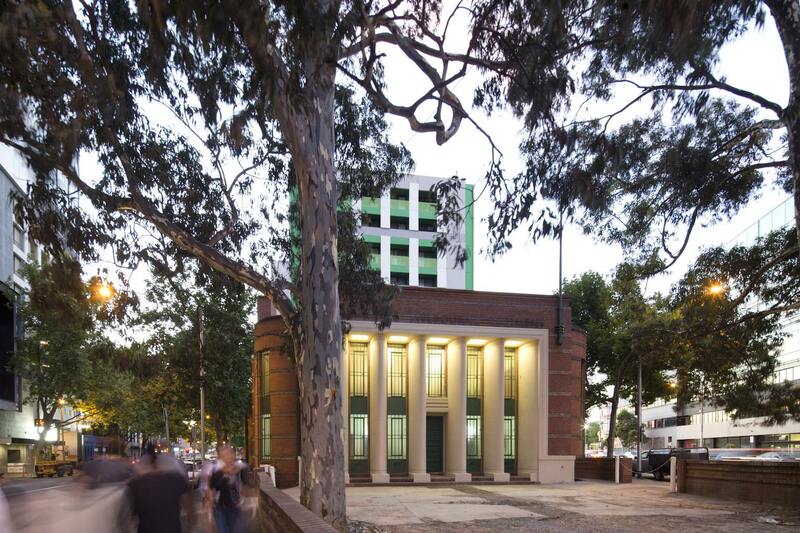 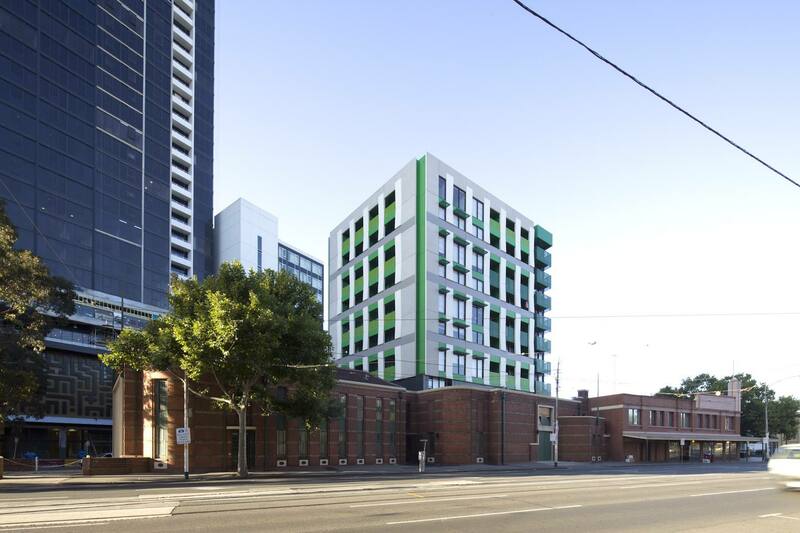 Underpinned by aspirations for environmental, economic and cultural sustainability this project breathes new life into the 1937 Art Deco Drill Hall and establishes a new vibrant focus for community life in the city while providing high quality affordable housing. 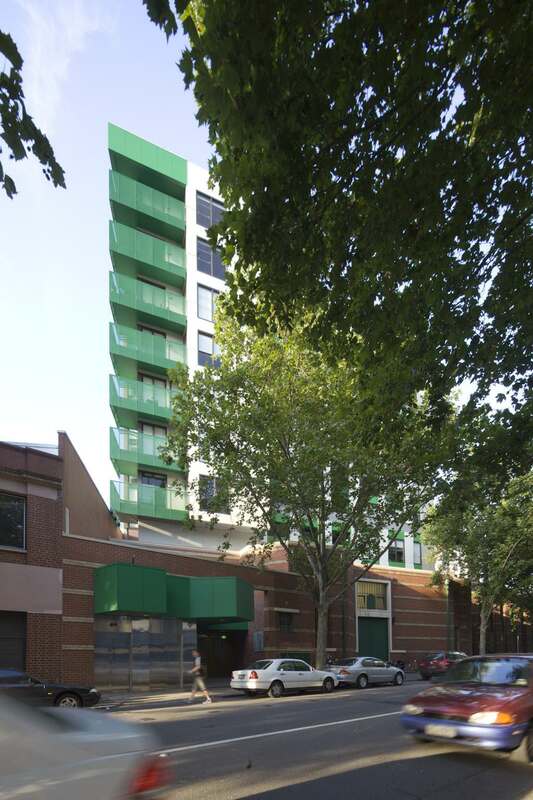 Incorporating 59 apartments of 1, 2 and 3 bedrooms for tenants on low, fixed and moderate incomes, the residential tower is supported by 8 large columns directly above the former military training hall. 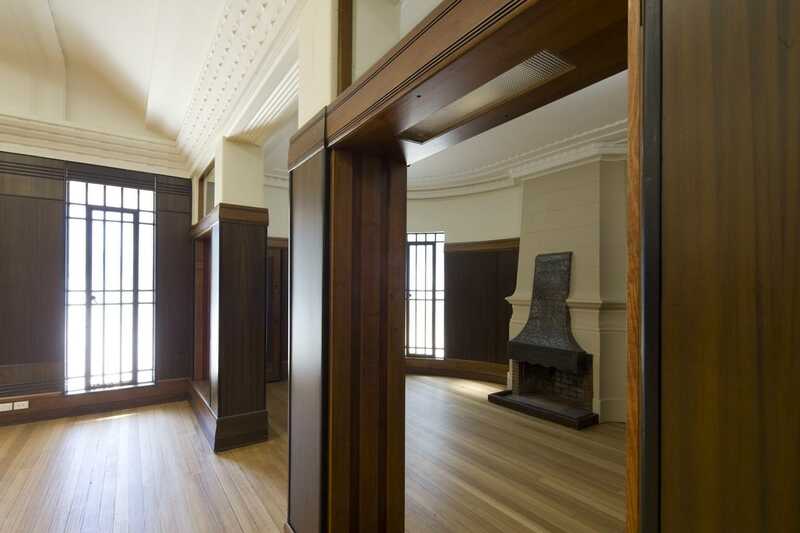 Restoration of the hall building and reprogramming for use as a community hub and health centre ensures that this valued heritage asset continues to contribute to local culture. 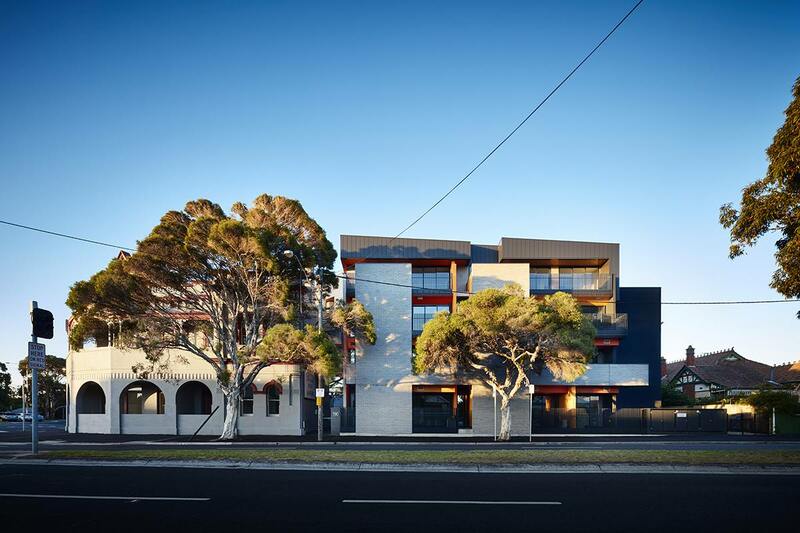 Drawing on its Art Deco roots the design of the residential tower uses abstracted elements of column and frieze combined with colour and materiality to present a fresh, domestic architectural response to the city. 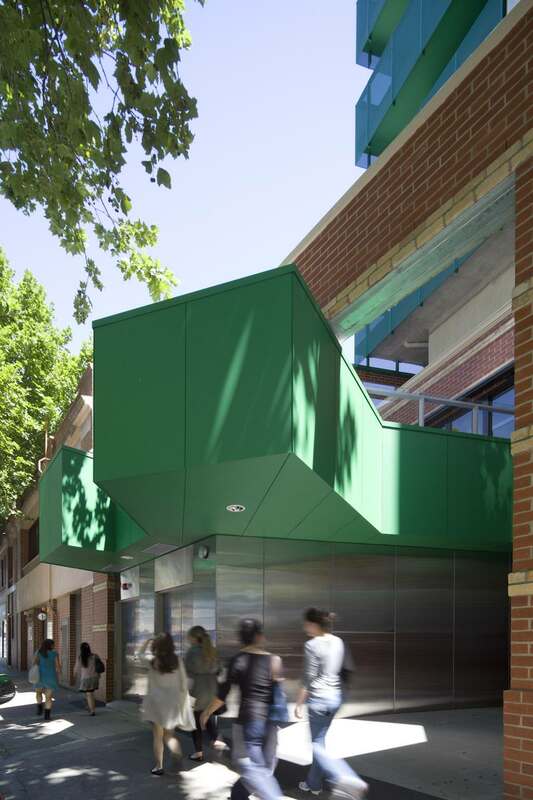 The residential entry is marked by an expressive green canopy that brings the architecture of the tower to street level. 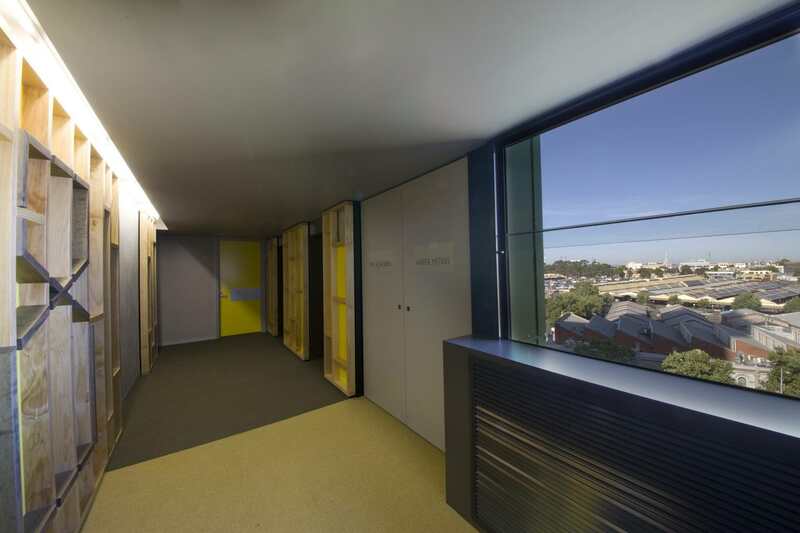 Inside lift lobbies appear only partially complete revealing timber stud walls, colour and texture. 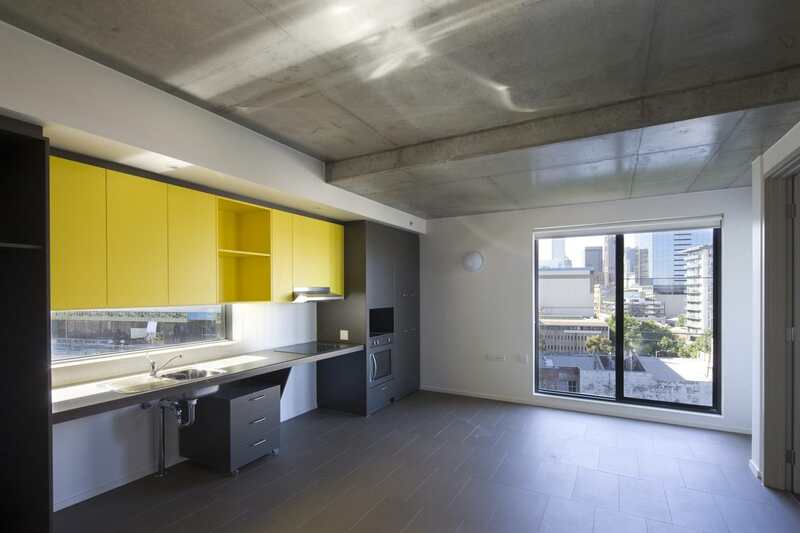 Light filled corridors are naturally ventilated and enjoy expansive views over the Victoria Market.